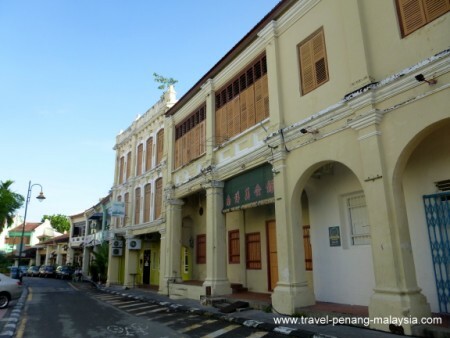 If you are staying in Georgetown, one of the places you will find yourself on the sightseeing trail is Armenian Street Penang (Lebuh Armenian). 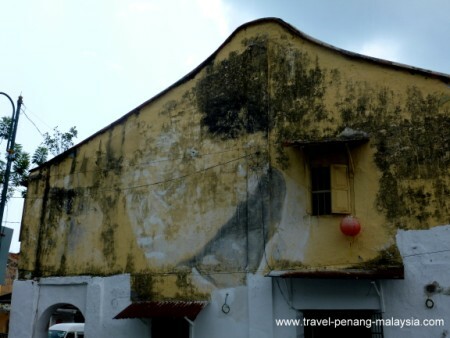 Lying within the core zone of the George Towns World Heritage Site, the street is surrounded by Chinese Temples and Clan Houses, as well as the nearby mosques of Acheen Street and Kapitan Keling. 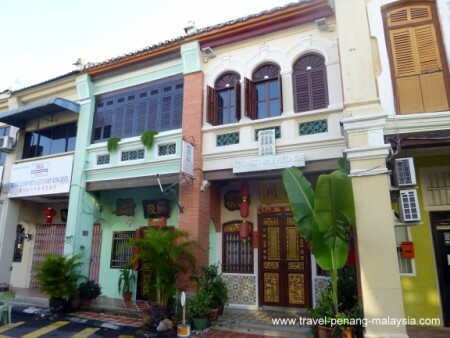 The street itself is full of charming shophouses, artists galleries, cafe's and some of the best of Penang's street art can be found around this area. 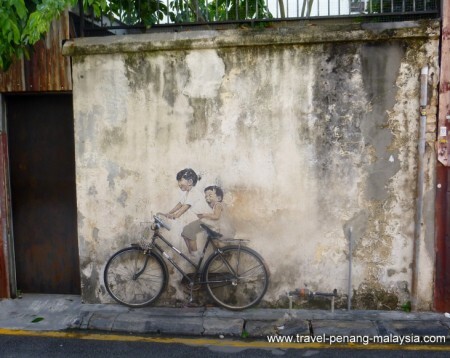 Street Art "Kids on Bicycle"
"Kids on Bicycle" painting in Lebuh Armenian is a great example of one of the many Penang Street Art paintings located all around the old part of George Town. Old Man wall painting on the corner Armenian and Cannon Street. Armenian Street got its name from the early Armenian merchants who settled here. 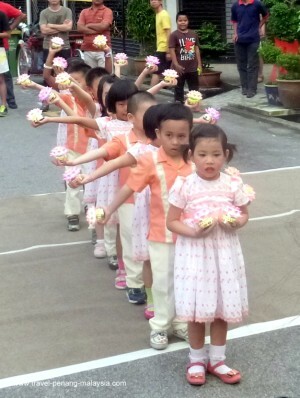 Now long gone, it is more associated with the Chinese community, hence all the temples and Clan Houses in this area. 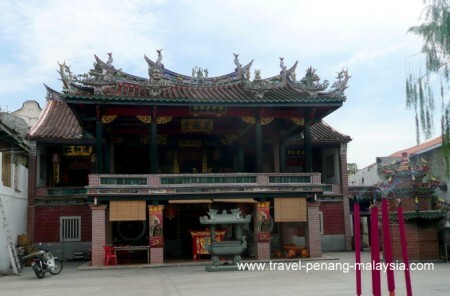 The Yap Kongsi Temple is located on the junction with Cannon Street. 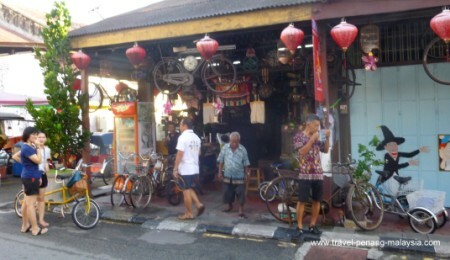 A few metres away, crossing over Cannon Street, there is a small gateway leading to the Hock Teik Cheng Sin Temple. 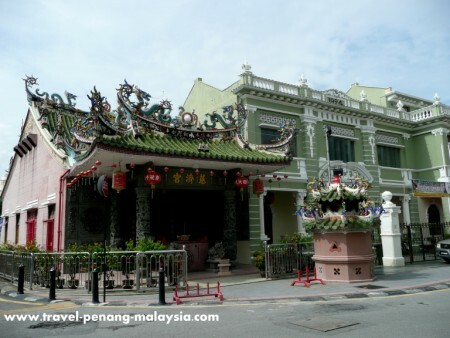 Walking down the street towards the sea, you come across another gateway leading to the Cheah Kongsi Clan House Temple. 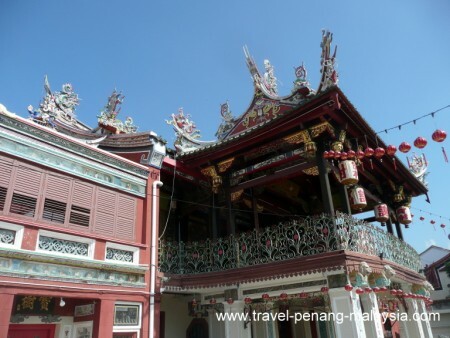 The most beautiful and ornate of all the Chinese Temples in this area is the Khoo Kongsi Temple located off of Cannon Street, less than 100 metres from the junction with Armenian Street. Just walk towards the Acheen Street Mosque and the gateway to the temple is on your left-hand side. 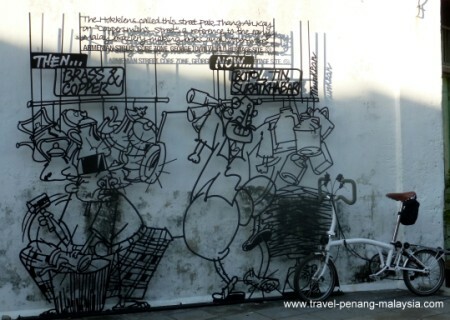 Iron wall caricature telling the story of how Armenian Street used to be known in the past by the Hokkiens as Coppersmiths Street, due to all the brass and copper wares made in this area of town. 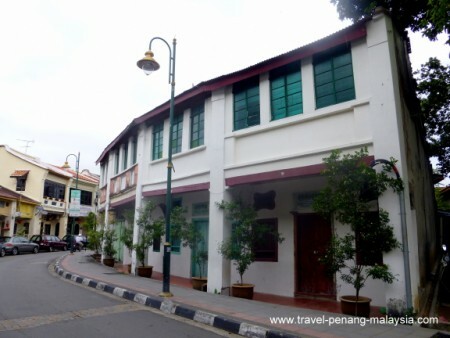 Photo of some of the Houses in Armenian Street including the Sun Yat Sen Museum (2nd from the right at number 120). The Straits Heritage Hotel is located at number 92 Armenian Street close to the junction with Cannon Street and offers just two luxurious suites in a restored Peranakan home. 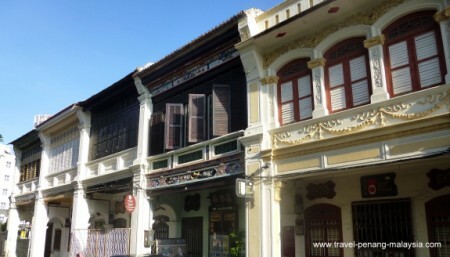 The Straits Collection is located in four restored houses towards the end of Armenian Street (numbers 89, 91 93 and 95) next to the small park. These houses offer accommodation over two floors, three of which are two bedroom units and one has a single bedroom. 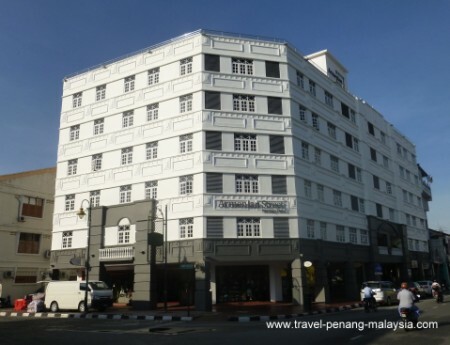 Armenian Street Heritage Hotel can be seen right at the very end of the street on the corner of Carnarvon Street and Acheh Street. This is a much cheaper option and has a total of 92 rooms. 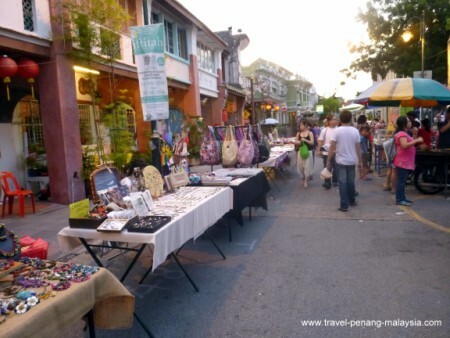 Take a wander down to Armenian Street every Saturday evening and you will come across a street market / fair, with locals arts and crafts on display and for sale. 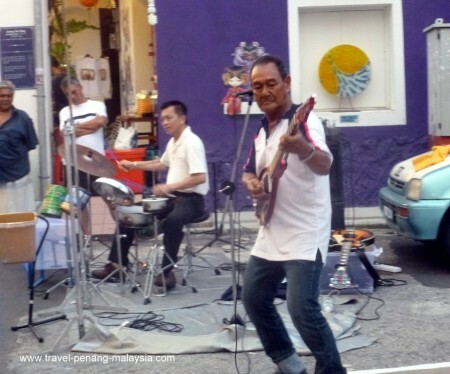 There is also a variety of street entertainment. Renting a bike from the bicycle shop is a popular way to get around the streets, but try to stay on the side streets as the traffic can be terrible and dangerous for cycling. Shoe flower pots? 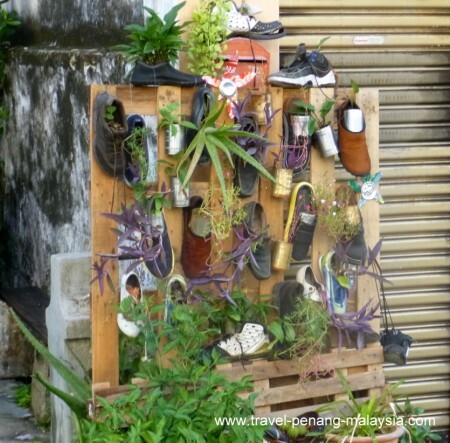 Just one of many interesting things to see in Armenian Street. 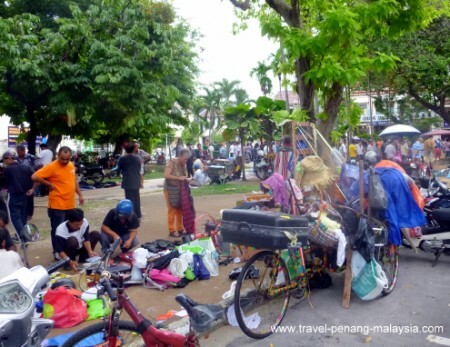 The flea market at the corner of Armenian and Acheen Streets which seems to happen most days in the early evening (they have now rebuilt this small park area and the flea market no longer takes place there).